When Shock Rock legend Alice Cooper embarked upon his fabled comeback via Constrictor (1986) and Raise Your First And Yell (1987), the change in the tonality was nothing short of profound. The 'slasher film' motifs (i.e. “Chop, Chop, Chop”, “Prince Of Darkness”, “Teenage Frankenstein”) featured throughout would introduce Cooper to an entire new generation of listeners. Among the primary catalysts of these changes was axemaster Kane Roberts. Co-writing nearly every track on the previously-mentioned releases, Roberts would embark on a solo career in 1987 with the release of Kane Roberts and the Jon Bon Jovi/Desmond Child-fueled Saints And Sinners (1991). Now, with the highly-anticipated release of The New Normal (2019), his first all new release in seven (!) years, Roberts has again returned to remind us all of his undeniable lyrical and compositional prowess. Todd: What made this the right time to release The New Normal? After having been 'away' from the scene for an extended period, one might argue that releasing a new record right now wouldn't be a financially viable venture. Todd: When you began writing and recording material for The New Normal, was there a particular sound you were trying to capture? 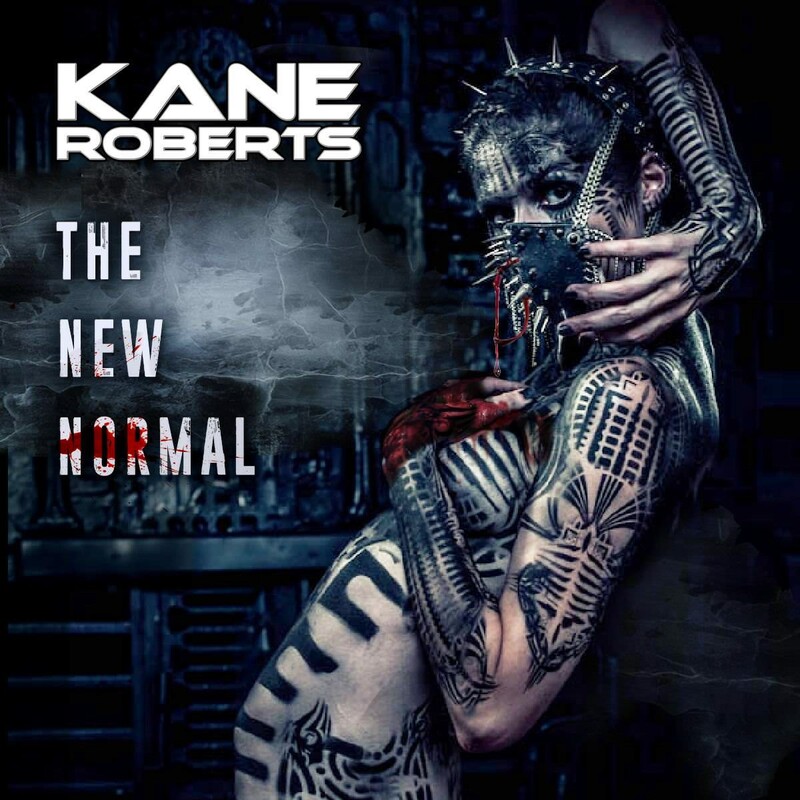 Obviously, you weren't intent on entirely re-creating Kane Roberts or Saint And Sinners. Todd: It's great to see that you didn't opt to re-invent your style. I think that would have been a colossal mistake. Todd: The New Normal features a variety of different guests (Kip Winger, guitarist Nita Strauss and drummers Aoyama Hideki and Ken Mary, among others) Was it difficult for you to coordinate such a large, diverse group? Todd: At this point, do you have any confirmed touring plans to support The New Normal? I would imagine there would be significant interest if it were to become a 'chart hit' akin to Kane Roberts and Saints And Sinners. Todd: If a supporting tour does materialize, what type of set list would you be working with? You've had hits as a solo artist, but you also had success while with Alice. There are some major style differences between the two. Todd: What are your commercial expectations for this record? Did you record The New Normal with a genuine and sincere hope of returning to the Top 40 or are entirely you focused on returning to the public consciousness? Todd: How involved were you with the change in sound Alice displayed on Constrictor and Raise Your Fist And Yell? The general consensus has always been that you served as a major influence on the new, harder edges. Todd: Why did you ultimately choose to stop working with Alice? At what point did you realize you weren't going to be a part of his immediate future plans? That had to have been incredibly frustrating on multiple levels. Todd: What led you to start using/playing with the 'guitar gun'? Was that something you created and engineered for yourself to use? I still remember seeing photos of you in Rip with flames shooting from the end of the barrel. Todd: Your clearly still in amazing shape. How much of your life is fully devoted to maintaining your physique?